Its always nice to receive something that you didn't expect. This came in the mail today. see pics. 2. The developers of the new GT3 are the same folks as the cup car. 3. Really nice action shots at the track. 4. Couple of other cool comments which got my blood going. I know some of you have your cars already but this is good for the folks who are waiting. Very nice touch Porsche. Thanks. 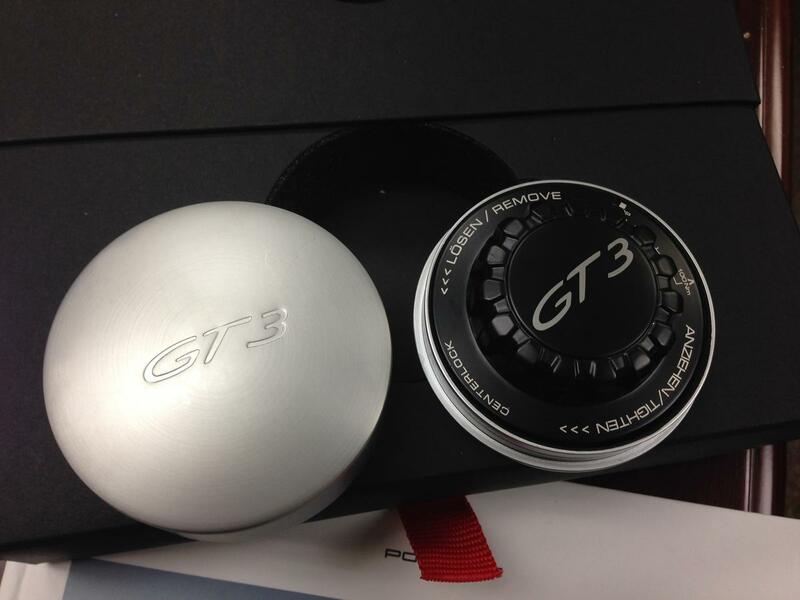 Very cool - love to see that stuff...are you a GT3 owner yet or just on order? On order JCBH. December build but pushed to January. The wait is killing me so I tried not to think about it which is impossible. Wow. Hmm. Feeling a little under appreciated for my order now! 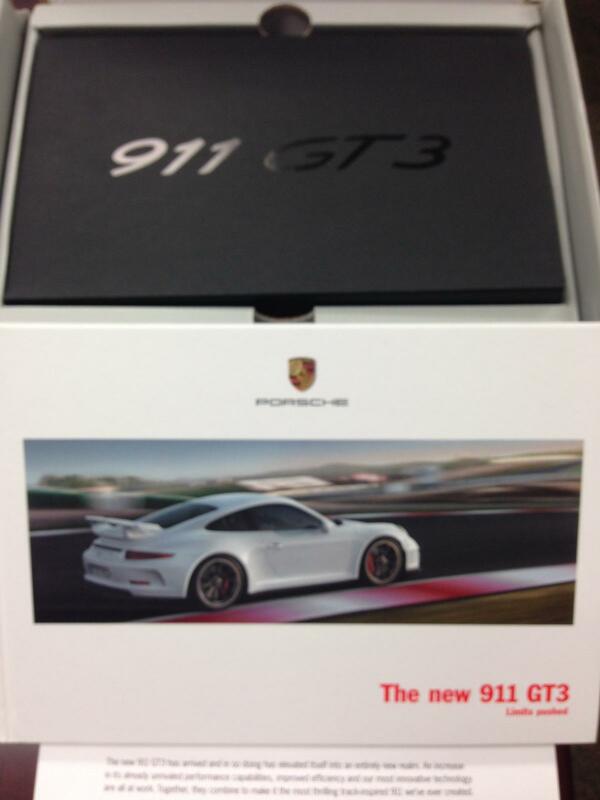 Got mine same time with a note to check out the new 991 GT3. Hmm, mine arrived 12/19! Any chance Porsche will send all of us to Skip B. school for free? BMW M owners gets to go or does porsche think we know how to drive already. BMW used to do that - they stopped a couple of years ago though. My M5 in 08 had it which was a bit of fun. The new M5 that arrived last year...I asked and they just said no we dont do that any more. Be nice to get a Barber day out though courtesy of Porsche. Got my GT3 "gift" today. Would have ordered the car or would now if I had gotten on the/a list if I had been quick. Got the package day before yesterday. The booklet is nice. However, the line where it says the central locking device "ensures a faster wheel change" is insulting to those that have done it multiple times. I'll give him my "gift" if I can have his allocation. Just received the GT3 screen cleaner and book today. Mid Feb build date. Like my GT3 I plan on getting it dirty and I can report that the screen cleaner has excellent performance.